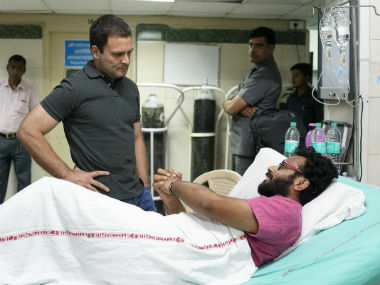 Congress vice-president Rahul Gandhi on Wednesday night visited the Aiims where he met the assistant professor of GB Pant Engineering College who has been on an indefinite hunger strike for the last 15 days. Professor Joshil Abraham wants a proper campus for students of the GB Pant Government Engineering College in Delhi with adequate facilities and infrastructure. The college has been functioning from an abandoned hostel building since its inception in 2007. Rahul sought to know the specific problems from the students and the fasting professor and promised to take up the matter. He will have to write to Delhi chief minister Arvind Kejriwal for help. Sources said this might also be a political tactic to expose the ruling Aam Aadmi Party’s claims about opening new colleges during the ongoing campaign for the April 23 municipal elections in the capital. 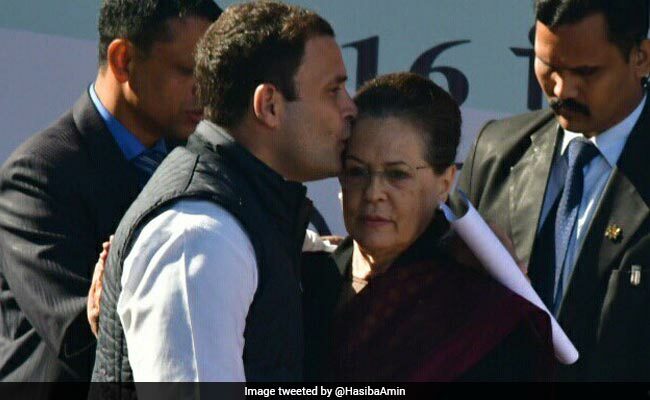 “Rahul said he will take up the issue as it was a legitimate demand and assured us of another meeting if the issue is not solved,” Abraham, who was admitted to AIIMS on April 14, told reporters later. Hundreds of students from the college had earlier spent nights in classrooms and slept at the college gate in protest against the poor infrastructure. The institution, supposed to be built on 60 acres of the 65 acres available with GB Pant Polytechnic, operates from a hostel building and doesn’t even have basic facilities, such as laboratories, accommodation, a library and an auditorium. Classes are held in modified dormitories. But what appears to have agitated them the most was the information they got after a Right to Information query that revealed that the land belonging to the college had been transferred illegally to the Indraprastha Institute of Information Technology Delhi (IIITD), an institute situated in the same area and built under the private-public-partnership model. Some students alleged that documents showed the Delhi government gave 25 acres to IIITD, free of cost. The market price could be as high as Rs 5,000 crore. Be the first to comment on "Rahul Gandhi visits Kerala professor on fast for campus"